Grey Glory — Brandy Y Productions Inc.
Grey Glory is a documentary about Canadian seniors who are pushing their bodies to the limit. The documentary Grey Glory by Canadian filmmaker Brandy Yanchyktells the story of five extraordinary athletes; Olga Kotelko, a ninety-four year old Masters Track and Field star who didn’t start the sport until she was seventy-seven; Christa Bortignon, who was so inspired by Olga that she took up the sport in her seventies; Milos Kostic, a seventy-two year old runner and triathlete who has competed in over twenty IRONMAN® triathlons; Ed Vincent, a seventy-six year old gymnast who continues to workout despite painful physical challenges; and sixty-eight year old Tom Heffner, who trains and competes in international bodybuilding competitions. 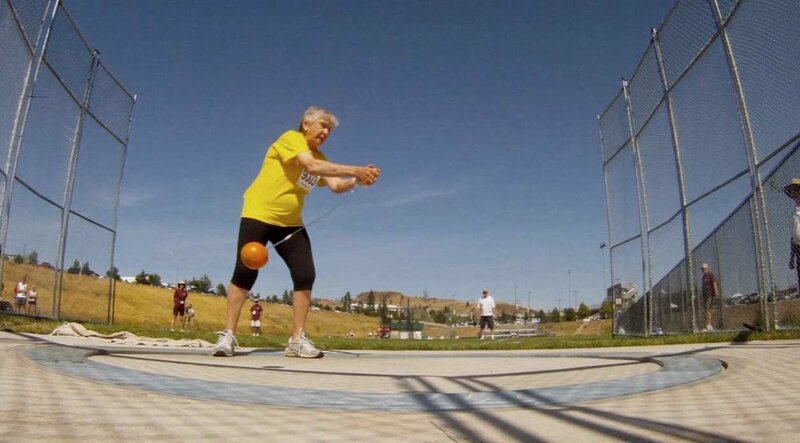 These remarkable seniors take us through their workouts, tell us about the secrets to theirsuccess and prove that it is never too late to start exercising.